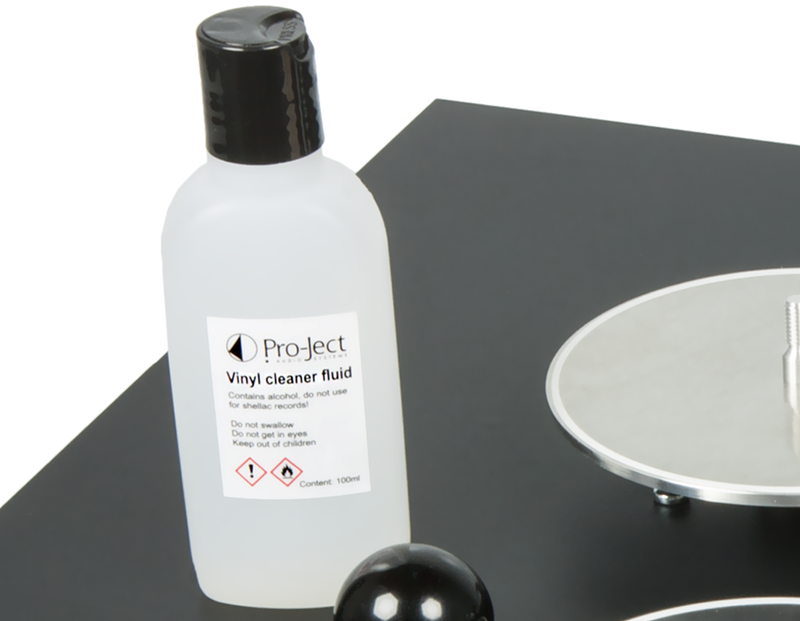 A record cleaning concentrate for Pro-Ject's VCS vinyl cleaner. To clean shellac records you will need to buy the Wash It 78 cleaning fluid instead. Earn 30 loyalty points when you order this item. Pro-Ject's VCS Wash It 500ml Record Cleaning Fluid is a highly concentrated cleaning formula. The Wash-it cleaning solution is designed for use with the Pro-Ject VCS Cleaner. The optimum mix ratio is 1:5 with distilled/demineralized water to get your records looking like new again after washing. For very dirty records, simply repeat the cleaning process. Wash it & Wash it 78 contain only high-purity components, the difference is the Wash it cleans vinyl records, contains isopropyl alcohol and is not suitable for shellacs. Wash it 78 is made especially for shellac records. Wash it cleaning fluid dissolves a wide range of impurities including frat and evaporates quickly leaving zero residues. This 500ml bottle will clean 500 vinyl records.